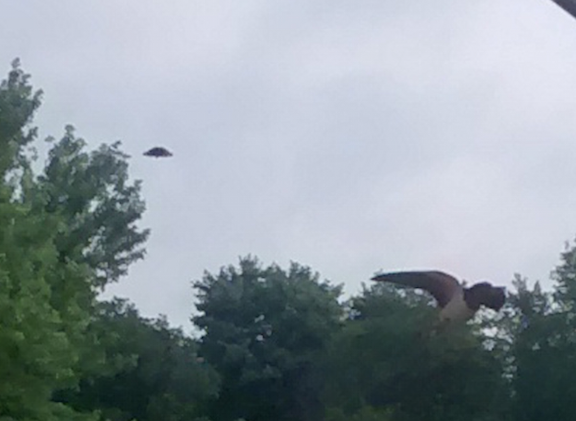 UFO SIGHTINGS DAILY: Bird Watcher Catches UFO By Mistake Over Home In Ohio, June14, 2015, UFO Sighting News. 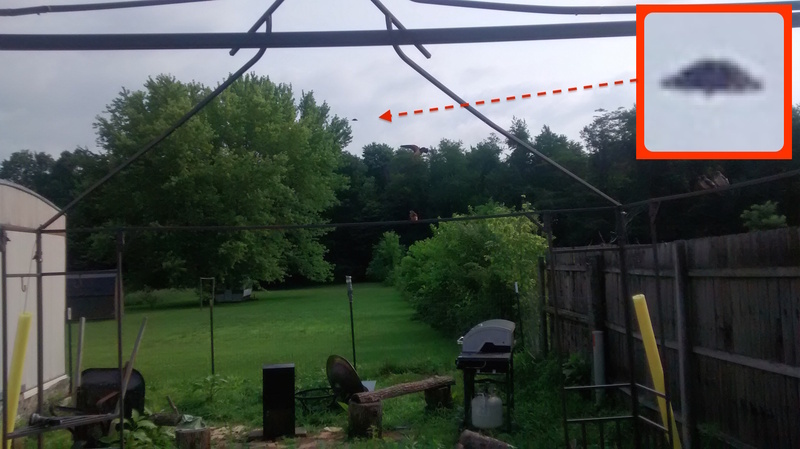 Bird Watcher Catches UFO By Mistake Over Home In Ohio, June14, 2015, UFO Sighting News. This UFO report has a classic UFO in the photo. Its a disk with a hump on its lower area. The UFO was so far away and near the tree line, that its easy to miss. Still, a lucky catch. 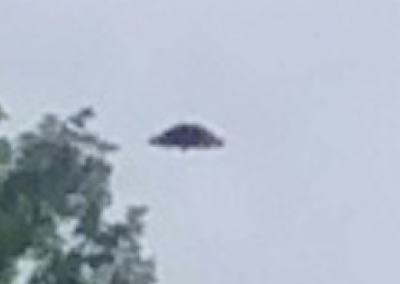 I was taking a picture of a small bird and when I went inside my house to show my wife,she asked me what the object was and I was very surprised to have taken a picture of a UFO in the picture. Everyone that I showed it to said I need to report it but I thought they might think I`m nuts. But I have a nice picture of the craft on my telephone. It has to be at least as big as a fighter jet or larger.